These are some quotes I love in a film titled “The Bridges of Madison County” sentimentalizes the four-day affair between an Italian-born, middle-aged farm wife whose passionate nature has long been dormant and a ridiculously romantic drifter. 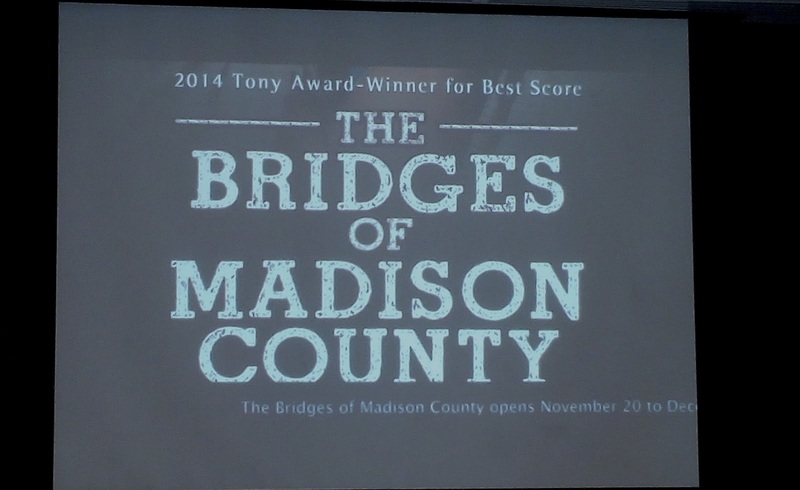 A moving love story about a photographer on assignment to shoot the historic bridges of Madison County. He meets a housewife, whose husband and children are away on a trip, and the film traces a brief affair that is never sordid but instead one of two soul mates who have met too late. One of the most romantic stories ever written, and for the first first international production of the musical “The Bridges of Madison County” presents by Atlantis Theatrical Entertainment Group (ATEG) is set to open on November 20 and run until December 6 at the Carlos P. Romulo Auditorium, RCBC Plaza, Makati. Leading the cast as Francesca and Robert are two iconic performers of the international musical theatre stage, Joanna Ampil and MiG Ayesa, who recently performed a great song presented to the press and guests during the media launch held at Oakwood Premier Building, ADB Ave. Ortigas. 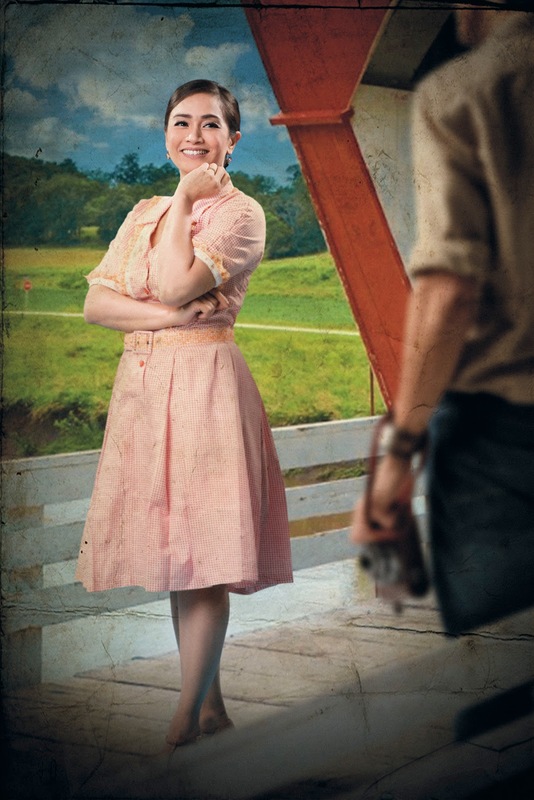 Based on the best-selling novel by Robert James Waller, THE BRIDGES OF MADISON COUNTY tells the story of Iowa housewife Francesca Johnson and her life-changing, four-day whirlwind romance with traveling photographer Robert Kincaid. It’s an unforgettable story of two people caught between decision and desire, as a chance encounter becomes a second chance at so much more. Joanna Ampil, who rose to stardom in London’s West End as Kim in Miss Saigon, Mary Magdalene in Jesus Christ Superstar Eponine and Fantine in Les Miz and Christmas Eve in Avenue Q, says of her latest role, “It will be my first musical in Manila after a long hiatus. The last one was The Sound of Music in 2012. I’m hungry for a new challenge and this role of Francesca will certainly give me that challenge, stretch and creativity that I’m always craving for as an artist. Jason Robert Brown and I performed in London sometime ago way before he wrote Bridges and to be able to play a lead in one of his works will be a wonderful experience; because I know that he writes some amazing stuff. 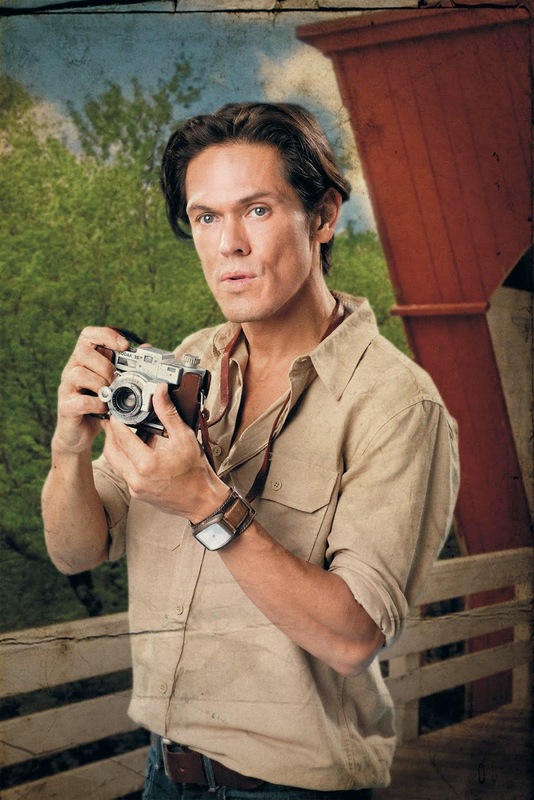 MiG Ayesa, who performed the role of Stacee Jaxx in ROCK OF AGES on Broadway and in Manila, says, “I am so thrilled to be returning to the Manila stage with this production of THE BRIDGES OF MADISON COUNTY. The score written by Jason Robert Brown is so breathtakingly beautiful it has to be considered a modern classic, and well deserved of the Tony Awards it received. I cannot wait to show such a different side to me, as the last time Manila audiences saw me was as the crazed rocker ‘Stacee Jaxx’ in ROCK OF AGES. The chance to be working opposite such a world class performer such as Jo Ampil, as well as under the direction of Bobby Garcia, promises to be an experience I will never forget. THE BRIDGES OF MADISON COUNTY is directed by Bobby Garcia, Choreography by Cecile Martinez, Musical Direction by Ceejay Javier, Set Design by Faust Peneyra, Lighting Design by JonJon Villareal, Costume Design by Eric Pineda, Hair and Make Up Design by Johann dela Fuente and Vocal Direction by ManMan Angsico. Bobby Garcia, who directs the musical, says. “I am thrilled to have two of the finest musical theatre performers breathe vibrant life into these iconic characters. Creating this show with Joanna and MiG has been an extremely rewarding creative experience and I couldn’t imagine anyone else playing these parts. Also in the cast are Carla Guevara-Laforteza in the dual role of Marian and Chiara, Nino Alejandro as Bud, Emeline Celis-Guinid as Marge, Jamie Wilson as Charile, Bibo Reyes as Michael and Mikkie Bradshaw as Caroline. Joining them in the ensemble are Steven Conde, Nel Gomez, Franz Imperial, Yanah Laurel, Abi Sulit and Teetin Villanueva. The unforgettable story about love, passion and choices that BRIDGE to a second chance is brought to you by ABS-CBN, Philippine Daily Inquirer, Delta Airlines, Oakwood Premier Joy~Nostalg Center Manila, Chrysler Philippines, Retro DCG-FM, Monster Radio RX 93.1, Crossover, Mellow 94.7 Sounds Good!, Portfolio Studios, Hit Productions Inc., Center of Aesthetic Studies, and Lynelle Hair Fashion. Get your tickets now for what is destined to be the most romantic musical of the year! Tickets for THE BRIDGES OF MADISON COUNTY are available at Ticketworld at 891-9999.
simple person living life to the fullest! This entry was posted in Arts, Entertainment, Lifestyle, Movies, Music and tagged ABS-CBN, Arts, Celebrities, entertainment, Movie, Musical, Stageplays, Theater. Bookmark the permalink.